Free Teen Yoga by Reach Out Yoga at Live Well Studio, 971 NW Spruce Ave., Corvallis. 4 – 5P.M. Yoga just for teens. Stretch, move, wiggle, strengthen, and then free and relax your body. You’ll learn to relax and calm yourself and stay steady through the storms and chaos of life. Free class; sponsored by Reach Out Yoga. Wine Tastings at First Alternative North, 2855 NW Grant Ave., Corvallis. 5 – 7P.M. First Alternative’s North Store hosts wine tastings featuring local wines. Around Oregon Annual Exhibition Reception, The Arts Center, 700 SW Madison Ave., Corvallis. 5:30 – 7:30P.M. Downtown After Hours Holiday Inn Express, 781 NE 2nd St., Corvallis. 5:30 – 7P.M. The Downtown Corvallis Association’s (DCA) monthly networking social provides the perfect opportunity to become better acquainted with fellow members of the business community in a relaxed environment. Downtown After Hours features door prizes, the “Bucket o’ Bucks” drawing for cash, and games. For more information, contact Joan Wessell at joan@downtowncorvallis.org or visit http://www.downtowncorvallis.org. Old-Time Music Jam at Old World Deli, 341 SW 2nd St., Corvallis. 7 – 9:30P.M. Readers Theater: An American Daughter by Wendy Wasserstein, Majestic Theatre, 115 SW 2nd St., Corvallis. 7:30P.M. Biber Blick I – German Film Festival at Darkside Cinema, 215 SW 4th St., Corvallis. 8P.M. “Combat Girls” (Kriegerin) 2011. An angry young woman with a hatred of foreigners meets an Afghan refugee and begins to change her worldview. Adults only. Sponsored by OSU’s School of Language, Culture, & Society. For more information on the films and the festival, visit http://blogs.oregonstate.edu/german/. Improv Comedy Theater at Cloud & Kelly’s Public House, 126 SW 1st St., Corvallis. 9P.M. Hilarious off-the-cuff theater troupe. Top 40 – Hip-hop – Mash-ups – Electro at Sub-Zero, 126 SW 4th St., Corvallis. 10P.M. Cover: $5 for 18 – 20; $2 for 21+. Ladies’ Night ft. DJ H-Ram & Josh Soto at Impulse Bar and Grill, 1425 NW Monroe Ave., Corvallis. 10P.M. Gangstagrass, Junior Raimey, Cloud & Kelly’s Public House, 126 SW 1st St., Corvallis. 10P.M. Grammy nominated bluegrass-hip-hop. Mahogany Driftwood, Jon Creedon & Ryan McGovern at Bomb’s Away Café, 2527 NW Monroe Ave., Corvallis. 10P.M. Drop-in Play at the Corvallis Sports Park, 175 SW Twin Oaks Cir., Corvallis. 10A.M. – 12P.M. Drop-in Play is a time for parents to join their kids in play with soccer balls, squishy balls, slides, and more. All children must be accompanied by an adult and must have a waiver signed by a parent or legal guardian. Cost: $3.50 for members, $5.50 for non-members. For more information, visit http://www.corvallissportspark.com. OSU Music à la Carte: White Fort, Memorial Union Lounge, 2501 SW Jefferson Way, Corvallis. 12P.M. Siberian String Duo. Wine Tastings at First Alternative South, 1007 SE 3rd St., Corvallis. 5 – 7P.M. First Alternative’s South Store hosts wine tastings featuring local wines. Friday Wine Tastings at WineStyles, 2333 NW Kings Blvd., Corvallis. 5 – 8P.M. Several wines are open for tasting; included is a glass of your choice of featured wine. Tasting fee: $10. For more information, call 541-738-9463 or visit http://www.winestyles.net/corvallis. Jeff Lesmeister at Belle Vallee, 151 NW Monroe Ave., Corvallis. 6:30P.M. OSU Volleyball Spike Out Cancer at Gill Coliseum, 660 SW 26th St, Corvallis. 7P.M. Join Oregon State Volleyball at this annual breast cancer awareness event for Project HER. Fans are encouraged to wear pink as they cheer on the Beavers against Washington. Tickets are available at the door and online at http://www.osubeavers.com. Author Event, “Ex-Boyfriend on Aisle 6,” Valley Library Rotunda, 201 SW Waldo Pl., Corvallis. 7:30P.M. Author Susan Rodgers will read from her new short story collection in the rotunda of the Valley Library on the OSU campus. The talk is sponsored by the OSU School of Writing, Literature, and Film’s Literary Northwest reading series. Faith Healer at the Majestic Lab, 115 SW 2nd St., Corvallis. 7:30P.M. The Majestic Lab presents Faith Healer by dramatist Brian Friel. Faith Healer is a meditation on the role and responsibility of the artist in society. It will be staged in the new Majestic Lab space on the second floor of the Majestic Theatre; seats are limited to 40 per evening. Cost: $12. For more information, visit http://www.majestic.org/faith-healer/. Biber Blick I – German Film Festival at Darkside Cinema, 215 SW 4th St., Corvallis. 8P.M. “Lessons of a Dream” (Der ganz große Traum) 2011. In 1874 a young teacher in Germany experiments with a highly contested way of teaching English to his students: by introducing football despite the protests by the community. Sponsored by OSU’s School of Language, Culture & Society. For more information on the films and the festival, visit http://blogs.oregonstate.edu/german/. Joanne Trzcinski at FireWorks Restaurant, 1115 SW 3rd St., Corvallis. 8P.M. Philly’s Phunkestra at Bombs Away Café, 2527 NW Monroe Ave., Corvallis. 10P.M. Cost: $5. Fjord & Guests, Camembert Rock at Cloud & Kelly’s Public House, 126 SW 1st St., Corvallis. 10P.M. Ride of Your Life, North Corvallis, Hwy. 99. 8A.M. Motorcycle ride starts at Corvallis Boxing Club at the Life Community Church, then heads to the Inn at Spanish Head in Lincoln City for the annual kite festival and raffles at noon. Cost: $20. All welcome even if you don’t ride. Proceeds benefit the Corvallis Boxing Club’s youth outreach program. For more information, visit http://www.lifecommunity.org/content.cfm?id=345. Corvallis Farmers’ Market, Corner of 1st St. & Jackson St., Corvallis. 9A.M. – 1P.M. For more information, visit http://www.locallygrown.org. Explore the Mysteries of Wetlands, Cheldelin Middle School, 987 NE Conifer Blvd., Corvallis. 9A.M. – 3P.M. This educator workshop takes place at the Cheldelin Middle School and the Jackson-Frazier Wetland. Cost: $20. For more information, contact Jody Einerson at 541-766-6750. Fishing Derby at the Osborn Aquatic Center, 1940 NW Highland Dr., Corvallis. 9A.M. – 12P.M. Come to Osborn Aquatic Center for an exciting fishing experience! The outdoor pool will be stocked with rainbow trout and experts from the ODFW will be on hand to teach basic skills. All ages are welcome and no fishing experience necessary. Gear is provided. A fishing license is required for anyone over 13. For more information, contact Rhonda Flatz-Byers at 541-766-6304 or rhonda.flatz-byers@corvallisoregon.gov. 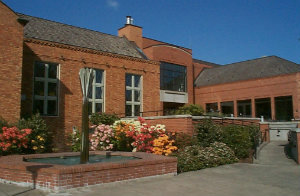 The Galleria, First Congregational Church, 4515 SW West Hills Rd., Corvallis. 9A.M. – 2P.M. The Assistance League presents a unique and affordable shopping experience featuring beautiful crafted gifts and gourmet packaged foods, to benefit children and their families in Benton County. For more information, contact Carol Reeves at 541-754-1513 or ca.reeves@comcast.net. Little Sprouts: Pumpkin Painting, Garland Nursery, 5470 Hwy. 20, Corvallis. 11A.M. At this month’s Little Sprouts, it’s time to dig in and get your Halloween pumpkins painted! Each child will be given a small pumpkin to paint and take home after class. Come dressed prepared for painting. Registration required. To register, call 541-753-6601. For more information, visit http://www.garlandnursery.com. Muddy Creek Maze, Llewellyn Rd., Corvallis. 11A.M. – 5P.M. The Muddy Creek Maze features a seven-acre corn maze, tractor swings, a pumpkin patch, the straw pyramid, a scarecrow slide, photo cutouts, the straw fort, a corn box, a picnic area, the MOO Train, and hayrides. Cost: $6 for adults, $4 for children. For more information, visit http://muddycreekmaze.com. Fourth Annual Bloktoberfest Celebration, Jefferson Ave. between 3rd & 4th streets in downtown Corvallis. 1 – 11P.M. Block 15 Restaurant & Brewery is holding the fourth annual Bloktoberfest celebration. There will be live music, Block 15 beer, German-style food, darts, and a large-screen TV for viewing the OSU Beavers take on the BYU Cougars. Admission is $5, and minors are welcome until 8P.M. Majestic Theatre Fall Costume Sale, 115 SW 2nd St., Corvallis. 9A.M. – 1P.M. Want space pirates? They’ve got it. Want fuzzy, funky animals? Got that, too – and just about anything else you can imagine! An insane collection of costumes spanning 40 years will be for sale. 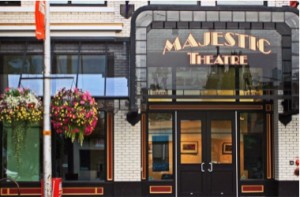 All sales benefit the Majestic Theatre. Monte Carlo Night, Philomath Scout Lodge, 660 Clemens Mill Rd., Philomath. 5:30 – 10:30P.M. The Philomath Booster Club presents Monte Carlo Night, to benefit Philomath Athletics. Cost: $15 for Bunco, $25 for poker. Puttin on the Pink Style Show, CH2M-Hill Alumni Center, 725 SW 26th St., Corvallis. 7 – 11P.M. This fashion show will benefit breast cancer survivorship and support Project HER. For more information, visit http://www.puttinonthepink.com. Comedy Night Hosted by Dan Crall at Cloud & Kelly’s Public House, 126 SW 1st St., Corvallis. 10P.M. OSU Vet Med Students Host Benefit Fun Run/Walk for Uzhgorod, Magruder Hall, 30th St. and Washington Way, Corvallis. 9A.M. OSU Veterinary medicine students are hosting a fun run and walk to benefit animals in Corvallis’ sister city of Uzhgorod, Ukraine. The 9k run (“K-9”) begins at 9A.M., and a 5k fun run and walk beginning at 9:30A.M. Registration is $17 on race day; forms are available in the lobby of Magruder Hall, or by emailing ali.catz2013@gmail.com. 22nd Annual Great Pumpkin Run, Benton County Fairgrounds, 110 SW 53rd St., Corvallis. 9A.M. Sponsored by Home Life, Inc. and Calapooia Brewing Co. Home Life is a local nonprofit that has provided residential and support services for adults with developmental disabilities for 40 years. Proceeds from this event directly benefit those Home Life supports. On the day of the run, ask a run official how you can support Home Life through volunteering or donating. This is a 10K run, 5K run/walk, and a 1K family fun run. For more information, call 541-753-9015 or visit http://homelifegreatpumpkinrun.org. Relax and Recharge at Willamette Wellness Center, 6735 SW Country Club Dr., 4:30 – 5:30P.M. Learn various meditation techniques to maintain good health, increase concentration, and reduce stress. For more information, call 971-218-6798 or visit https://sites.google.com/site/carolynschechtman. Kelly Joe Phelps: Song Crafters and Guitar Masters Series, Majestic Theatre, 115 SW 2nd St., Corvallis. 7:30P.M. The Majestic presents Pacific Northwest-based legendary blues player Kelly Joe Phelps. 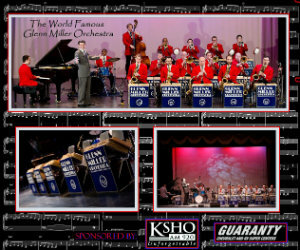 Tickets: $16 at the door; $14 in advance or for members. For more information, visit http://www.majestic.org. Southtown Open Mic Talent Search, FireWorks Restaurant, 1115 SE 3rd St., Corvallis. 9P.M. Free admission with $2 purchase. $5 Movies at Ninth Street Cinema, 1750 NW 9th St., Corvallis. See your latest film favorites at the Ninth Street Regal Cinema. All movies are $5, every Tuesday, all day. Tuesday Nights at the SAGE Garden, 214 NW Monroe Ave., Corvallis. 4 – 7P.M. Tuesday Work Parties at SAGE Garden for a good cause! Help in the garden doing all sorts of things from prepping soil and mulching to planting and harvesting. Timba Tuesday at Impulse Bar and Grill, 1425 NW Monroe Ave., Corvallis. 7:30 – 11:30P.M. Great music, awesome drinks, fun peeps, and $1 tacos. Organist Craig Hanson, First United Methodist Church, 1165 NW Monroe Ave., Corvallis. 12:15P.M. The organist will perform the music of Ascanio Mayo (Napoli, 1609). Admission is free, but donations are appreciated. Miss Paranormal Pageant at Elks Lodge, 1400 NW 9th St., Corvallis. 3 – 9P.M. Women will participate in a competition for the title of Miss Paranormal. There will be a costume, talent, and trivia competition. Pay at the door. Cost: $15 for adults; $10 for seniors and kids. Hors d’oeuvres and drinks will be available. For more information, call 541-220-5864. Beer & Blog at Cloud & Kelly’s Public House, 126 SW 1st St., Corvallis. 5 – 6P.M. Local bloggers and tweeters meet to commiserate and network. Stitch Night at Stash, 110 SW 3rd St., Corvallis. 5 – 8P.M. Free social knitting and crocheting group – bring a project, get inspired! For more information, visit http://www.stashlocal.com. Well-Being: Making Peace with Your Body, Live Well Studio, 971 NW Spruce Ave., Corvallis. Runs Oct. 10 to Nov. 28, Wednesdays from 7 – 8:30P.M. The Well-Being program is designed as a smart approach to optimal health and weight loss. Class limited to 10 people. Please preregister. Cost: $179. For more information, call 541-224-6566 or visit http://livewellstudio.com. Peter Mulvey & Kris Delmhorst: Song Crafters and Guitar Masters Series, Majestic Theatre, 115 SW 2nd St., Corvallis. 7:30P.M. The Majestic Theatre presents Peter Mulvey and Kris Delmhorst. Mulvey’s newest album, “The Good Stuff,” is a dazzling collection of American standards from Duke Ellington to Tom Waits. Tickets: $12 at the door; $10 in advance or for members. For more information, visit http://www.majestic.org. Corvallis Belly Dance Guild Performance, Old World Deli, 341 SW 2nd St., Corvallis. 8P.M. Wednesday Acoustic Live at Les Caves Bier & Kitchen, 308 SW 3rd St., Corvallis. 8 – 10P.M. Not enough good music in Corvallis on Wednesday nights? Les Caves will be doing it acoustically right. Great local bands. No cover. Fine food and beer. 45th Annual Ski Swap, Benton County Fairgrounds, 110 SW 52nd St., Corvallis. 12 – 9P.M. Sponsored by Corvallis Ski Swap, Inc. to benefit Santiam Pass Ski Patrol and Corvallis Mountain Rescue Unit. OSU’s Homecoming Lights Parade 2012, the parade begins at SW 6th St. & SW Jefferson Ave., Corvallis. 5 – 7P.M. The OSU Alumni Association and Student Alumni Association present the 2012 Homecoming Parade, one of OSU’s longest standing traditions. For more information, visit http://www.osualum.com. Trees to Treasure, Parks & Recreation, 1310 SW Avery Park Dr., Corvallis. Monday through Friday, 8A.M. to 5P.M. Some of the downed trees from Corvallis are recycled into finely crafted heirloom bowls, gifts, and boxes as a fundraising partnership between Corvallis Parks & Recreation and local wood-workers. A small collection of these elegant pieces of lustrous walnut, elm, maple, honey locust, and other fine woods are on display and available for sale at the administration office in Avery Park. Proceeds are used to support local Urban Forestry projects. Common Courage: A Century of Women’s History in Benton County, Oregon, Benton County Museum, 1101 Main St., Philomath. Runs Jan. 13 to Dec. 1, Tuesday through Saturday, 10A.M. to 4:30P.M. Common Courage is an exhibition of women’s history that exemplifies many of the experiences and accomplishments shared by Benton County women over the past century. In 2012, we commemorate the 100th anniversary of women’s suffrage in Oregon. This year-long exhibition exemplifies changing roles in politics, education, occupations, fashion, and athletic opportunities, and honors Benton County women in uniform. Ball Studio Centennial Photography Exhibition at Benton County Historical Museum, 1101 Main St., Philomath. Runs Aug. 31 through Oct. 27, daily 10A.M. – 4:30P.M. OSU Special Collections & Archives Research Center, Ball Studio, and Benton County Museum have partnered to create a photography exhibition including businesses, landmarks, military events, street scenes, industry, portraits, the Oregon coast, OSU campus, and panoramic Cirkut photos. Ball Studio photographs have chronicled daily life in Oregon communities since 1912. Owned and operated by the Ball family for four generations, Ball Studio, of Corvallis is the oldest continuously operated photography studio in the United States. For more information, visit www.bentoncountymuseum.org. Art Exhibit: Analee Fuentes’ “Del Corazon” at Fairbanks Gallery, Oregon State University, Campus Way and Jefferson Way. Runs Oct. 8 through Oct. 31. Monday – Thursday, 8A.M. – 5P.M., Friday 8A.M. – 12P.M. Del Corazon (By Heart), an exhibit of paintings by Analee Fuentes. The exhibit is co-sponsored by the Department of Art and the Center for Latino/Latina Studies and Engagement at OSU.